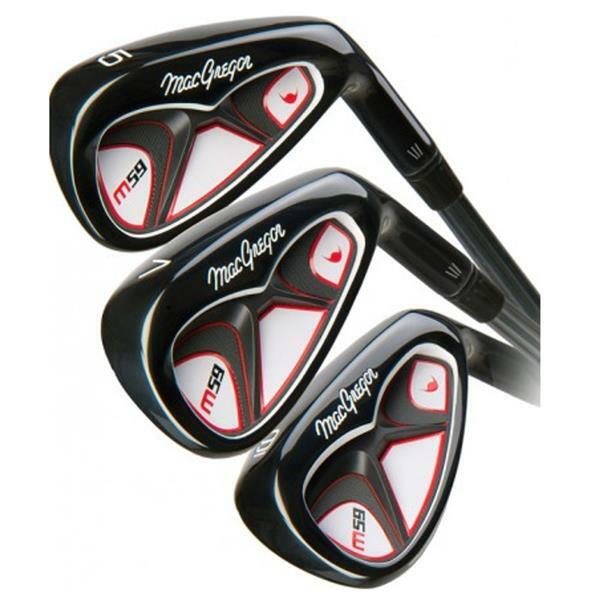 MacGregor M59 Irons are an advanced game improvement cavity back iron designed to promote optimised distance progression and precision accuracy. 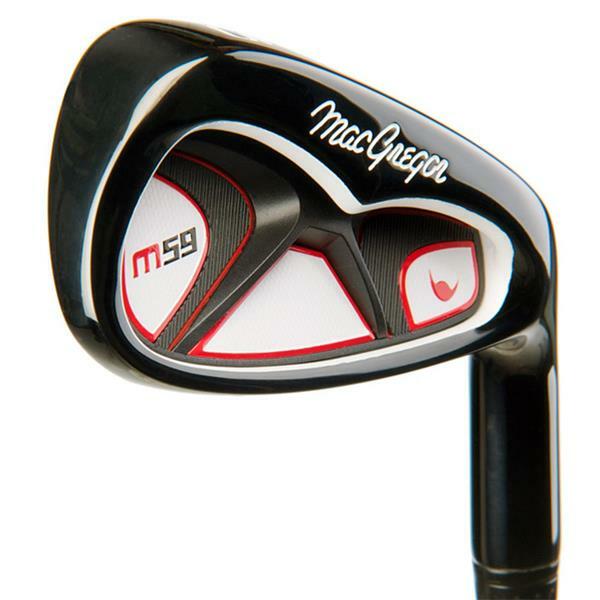 Designed for all skill levels, the M59 Irons deliver incredible forgiveness without sacrificing feel. Offering great visual appeal, they feature a deep undercut cavity highlighted by MacGregor?s classic wing back design. A low, deep centre of gravity combined with distance enhancing lofts creates a hot, high trajectory for maximum distance. Inside each cavity is a multi-material medallion with vibration damping properties to enhance the feel on every shot. The fully integrated club face and deep under cut cavity design enables an accurate CG position for an easier ball launch. The progressive sole plates through the irons increases MOI (moment of inertia) and forgiveness. The black PVD (Physical Vapor Deposition) paint finish is a non-polluting coating technology for high wear applications and demonstrates MacGregor?s ongoing advanced engineering achievements. This coating provides the advantages of improved performance through maximum drag co-efficient reduction, allowing the club to slide through grass and sand with the least amount of friction. The UST Steel Shaft is designed with constant taper technology on either side of the flex points giving maximum energy transfer and consistent, long, parabolic flight. The UST 382 Graphite shafts are lightweight (65 grams) mid balance and low torque giving more resistance from the forces created during the down swing of the club head.